Myroslav Skoryk (born in 1938 in Lviv, Ukraine) is the author of a very diverse and impressive oeuvre. Although contemporary in its vocabulary and means of expression, his music often draws from the rich well of Ukrainian folklore. Among his most popular compositions are the Concerto for Orchestra (Carpathian); the Hutsul Tryptich; Violin Concertos Nos.1 & 2; Piano Concertos Nos.1 & 2; the Cello Concerto and the Sonatas for Violin and Piano. The composer has also written music for some 40 films, of which the best known is Shadows of Forgotten Ancestors. He also writes jazz and popular music. Skoryk's works are regularly performed throughout Ukraine, the other republics of the former Soviet Union, as well as in Germany, France, Austria, Holland, Bulgaria, the Czech and Slovak Republics, Poland, Canada, and in recent years, in the United States, England and Australia. Skoryk entered the Lviv Music School in 1945, but in 1947, he and his parents were deported to Siberia and were not permitted to return until 1955. He was then accepted to the Lviv Conservatory, where he studied composition with S. Liudkevych, P. Simovych and A. Soltys. From 1960 to 1964 he studied at the Moscow Conservatory in the doctoral program with the celebrated Dmitri Kabalevsky. Upon graduation, he joined the faculty of the Lviv Conservatory and, in 1967, the Kyiv Conservatory, where he remained as professor of composition until 1988. 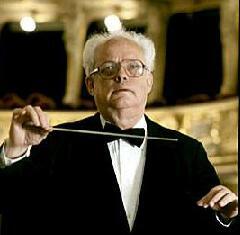 In 1968, Skoryk was selected to be the secretary of the Ukrainian Union of Composers and, in 1988, he became the head of the Lviv branch of this same organization. He is the winner of the prestigious Shevchenko Prize and holds the title "People's Artist of Ukraine". After the death of Borys Lyatoshynsky in 1968, Skoryk, despite his young age, became one of Ukraine's most important professors of composition. His many students include such prominent contemporary composers as Stankovych, Karabyts, Kyva, Ilyin and Balakauskas. Myroslav Skoryk presently resides in Ukraine, and travels frequently to concertise and lecture in Europe, the United States, Canada and Australia. Appassionata: A Jazz Paraphrase by Myroslav Skoryk. Mazurka in A minor Op.17, No.4: A Jazz Paraphrase by Myroslav Skoryk. Moonlight Sonata: A Jazz Paraphrase by Myroslav Skoryk.